Emile Roux (1853-1933). Historical engraving of the French physician, bacteriologist and immunologist Pierre Paul Emile Roux. Roux worked with French microbiologist Louis Pasteur, and was a co-founder of the Pasteur Institute in 1887. Roux studied avian cholera, anthrax and rabies. His 1888 publication on the cause of diphtheria identified the bacterial agent responsible. Roux successfully developed a serum to treat diphtheria. Roux went on to study tetanus, tuberculosis, syphilis, and pneumonia. 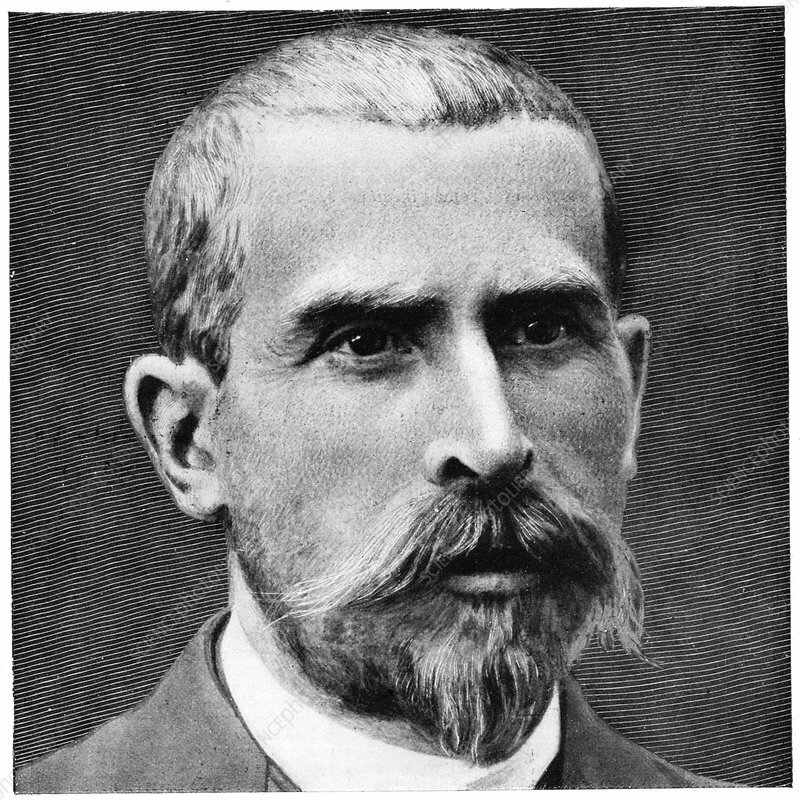 He was the Director of the Pasteur Institute from 1904 to his death. Image from Je Sais Tout magazine, France, September 1909.